High standards attract high standards! Hair vendor list for starting your own hair extension selling business. Indian hair, Cambodian hair, and wig vendors. Hair business startup. 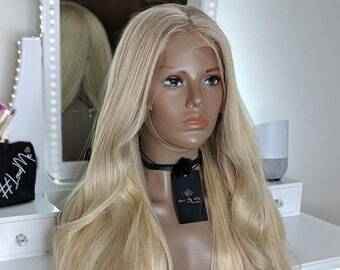 Blonde human hair wigs made with 100% virgin hair. 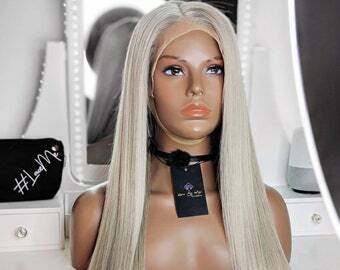 Lace Me Wigs exclusive blonde full lace human hair wigs includes styling service. Ash blonde lace front human hair wig. Long ash blonde wig. Made with quality %100 virgin human hair. Long human hair blonde wig. Check out Khloe Dosh's review on our Raw Cambodian Natural Wave wig. All those that leave reviews will get a %10 off coupon code for future purchases. Ultimate Wig and Hair Extension Guide. Lace Front - A standard lace frontal is 13"x4" (13 inches ear to ear and 4inches from front to back) hair piece. This hair piece is made with lace and individually ventilated hairs. It allows you to part anywhere Along your hairline and still maintain a natural appearance. The hair can be pulled back and manipulated as if its your own. They are meant to provide a realistic parting and hairline. A frontal can sew on, glued, taped, or gelled into place. 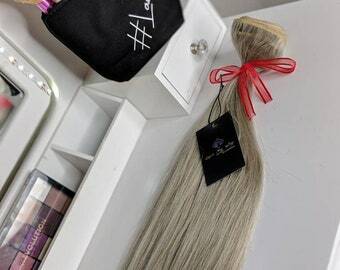 Although glue less lace front wigs exist and often come with combs and/or elastic straps in the back to secure the wig they are rarely enough to keep the wig in place. A closure has different dimensions. Instead of 13"x4", its a 4"x4" lace hair piece. The area available to part is smaller, (4x4, 5x5, 6x6). They are meant to provide a realistic parting, not hairline. Those looking for a simpler option usually opt for a closure. Lace closures can be sewn on and when used on a wig, closure wig, combs and elastic straps usually suffice in keeping it in place. A closure wig and frontal will look very much the same. The difference is in the versatility that a frontal wig brings. The hairline appears more natural with the option to part from ear to ear. Versatility isn't always necessary. If you plan on keeping 1 style the life of the wig a closure wig is a great option. Its easier to wear and maintain. 360 - A 360 lace frontal is ventilated lace that mimics skin around the heads perimeter. It allows the hair to be pulled back in the front and up in the back. A realistic pony tail is capable with this look. The middle would have wefts sewn in to complete the look rather it’s a wig or sew in. 360 Lace frontals require being sewn on, glued, taped and usually require a professional to do so. They may come with combs and/or elastic straps in the back to secure the wig they are rarely enough to keep the wig in place. Full lace - No wefts are used to create a full lace wig. 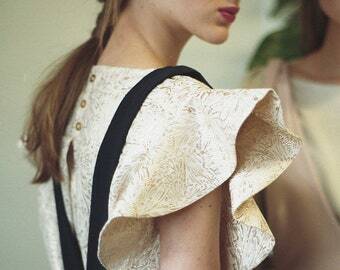 They are made entirely of lace and ventilated hairs, providing the most versatility. This unit is capable of being parted from ear to ear, front to back, diagonal… ect. There are no restrictions on styling. Similar to the 360 lace frontal, full lace units require being sewn on, glued, taped and usually require a professional to do so. They may come with combs and/or elastic straps in the back to secure the wig they are rarely enough to keep the wig in place. Picking a style and wig can definitely be a struggle. Especially when it comes to human haired lace wigs that come in all textures and styles. My main objective when it comes to most of my units is time. I want something low maintenance, comfy but still a head turner. When it comes to the amount of time I spend styling a wig it usually depends on one thing, the original texture of the hair. Curly hair – Without a doubt my favorite to rock. Curly human hair is as versatile as it comes. Naturally curly but can be pressed bone straight. The only problem is this takes a great deal of heat. Blow drying and pressing out them curls overtime can damage the natural curl pattern. It’s also a lengthy processes that I usually never care to embark on. My curly wigs stay curly so my morning hair route only means adding water and a little leave in conditioner if needed. This doesn’t mean curly hair is low maintenance. Its simply lower maintence for me. Curly hair has its struggles. It dry’s out quickly and tends to need to be washed more often due to all the product that’s needed to keep the curls poppin. Curly hair also tends to shed more or at least seem like it during wash day. Wavy Hair – The best part about wavy hair is looks great in its natural state but can be easily pressed straight or curled. Most human hair extensions, especially raw Indian hair, will have some type of wave pattern to it. Naturally Straight Hair – As stated above most human hair extensions, like raw Indian hair will have some type of wave to it, even straight. After its washed it will still tend to need some heat in order to have the polished look most are after. There was a time I was intimidated by curls. Now it seems like the only thing I wear. What’s your favorite texture? It might just be the next bundled package deal so let us know. 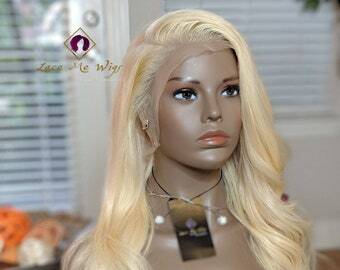 Blonde lace human hair wig. Lightest pale blonde human hair wig. Made with %100 virgin human hair. High density 150 and 180 density options. 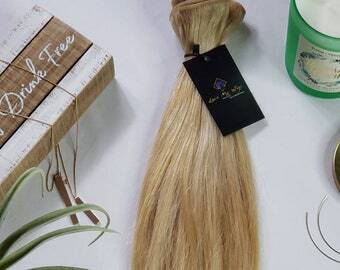 Lightest spring time blonde virgin Indian human hair extensions. Straight custom colored light blonde human hair weft extensions. Sandy blonde virgin Indian human hair extensions. Straight custom colored sandy blonde human hair weft extensions. Blonde virgin Indian human hair extensions. Straight custom blonde human hair weft extensions. Indian human hair lace front wigs. Virgin human hair used for custom lace wig. Made with raw Indian human hair extensions. Long human hair. Virgin human hair closures and frontal. Raw Cambodian human hair. 100% human hair hair closures and frontal. Pre-tweezed and bleached knots. Ash blonde virgin Indian human hair extensions. Straight custom colored ash platinum blonde human hair weft extensions. More colors soon! 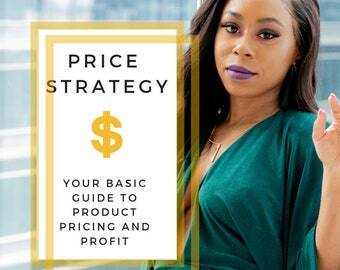 Price strategy guide to help create a profitable brand. 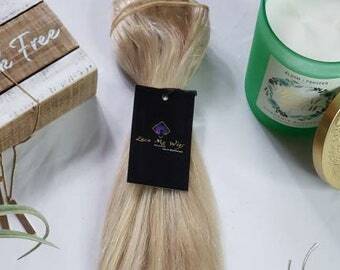 Advice on how to price your hair bundles, wigs and how to brand for maximum profit. Honey blonde full lace human hair wig. 150 density human hair wig. Custom blonde color. Made with %100 Virgin Human Hair. 4x4 Silk top. As usual Lace Me Wigs NEVER disappoints. My custom unit arrived sooner than expected and smelled AMAZING! I’m officially a #LaceMeWigs addict and I can’t wait to order my sixth unit! 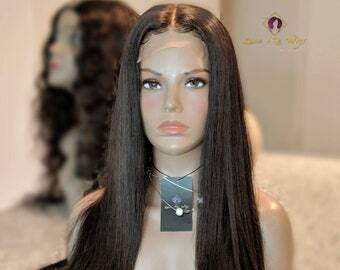 8x4 Frontal - Natural Indian Wave - 24"
The shipping was discrete and secure and came with very nice packaging. thank you. I looked all over for some raw hair of quality. and lets just say my co workers actually think this is my hair lol. also the hair smelled great. i will only be shopping with this company, thank you. Raw Cambodian virgin human hair extensions. Unprocessed Cambodian human hair weft extensions in straight and wavy textures. It's in stock and ready to ship! Custom colored and raw Cambodian hair extensions. Our standard Bella cap is used on most units. 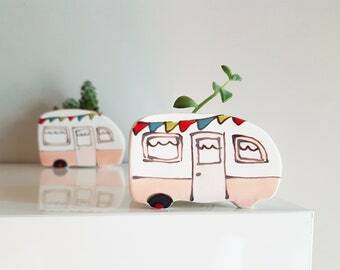 Currently ready to ship and on sale! Frontal vs closure piece that can be used while creating any unit. I am Latosha Robinson the owner of Lace Me Wigs, an online Hair and Wig Boutique. I started Lace Me Wigs as a way to reconnect with one of my past passions. Due to my mother having arthritis and joint problems that prevented her being able to do my hair, I had to learn on my own at a very young age. Thankfully it came natural to me. Braids, curls, pony tails, everything you can image I was able to do simply from watching others. Eventually I grew into a hair extension connoisseur but ultimately ended up working in Technology for 6 years before starting my wig line. The knowledge that I have when it comes to hair extensions as well as customer service has become my staple. Although I create custom lace wigs I like to think that I am providing much more than a new hair style. I have been able to connect with so many women that simply feel like they have lost their sense of self-worth due to losing their hair. My goal is to provide high quality hair products that give each women being “laced” another chance at feeling loved and in control. Read my reviews! I keep a very high level of communication and transparency with my Lace Me’ s. My passion for creating value and empowering women has blossomed into my company’s commitment. I am currently diving head first into this industry, (beauty), and learning everything it has to offer. I can’t think of another industry with more power over the way we see ourselves. Brands with enough reach have the ability to transform how we look and feel. I wanted to put some of that power back into wig wears hands. I give women the opportunity to redefine how they see themselves by creating a wig their proud to wear. Custom lace wig creator via sewing machine. Full time techie "techie" Aka - Laptop fixer and hair wig flipper. We recommend washing the hair at least bi weekly with a mild shampoo and conditioner. The pH should not be higher than 7 which is a neutral ph. This ensures the outer layers of the hair stay flat and keeps the hair from losing moisture and becoming frizzy. TRESeme works well while Sauvé is discouraged. After gently washing and conditioning we recommend letting your hair air dry. Never sleep on wet or damp hair. This will encourage matting. Curly textures require a little move love and attention. Like most curly hair it can be dryer than most. Keeping a light weight leave in conditioner will help keep your curls bouncy. A full sew in will require at least 2 bundles when using hair 18 inches or shorter. We recommend 3 bundles or more for lengths 20" inches and longer. This rule holds true for closure wigs as well but depending on the texture an extra bundle may be recommended. For example straight hair in order to look fuller with 18" inch bundles may require an 3 bundles to fill out the wig cap and give a more voluminous look. 13"x4" frontals will only need 2 bundles for length 18" inches and shorter. 3 bundles or more for lengths 20 inches and longer. This is 100% raw Indian human hair that has not been processed in anyway and can be bleached and dyed as your own. We recommend taking your hair to a stylist for professional coloring to ensure its done properly. Be sure to keep color treated hair conditioned and moisturized. This hair can last for a long time. Our clients generally use the hair for 13+ months. The secret to its longevity is simple... Its %100 authentic! No synthetic fibers or fillers are added. The cuticles are still intact allowing the hair to maintain its moisture without over drying and being brassy or tangling. Where is this hair sourced? Our hair is sourced directly from its origin, Chennai, India. Each bundle is taken from an individual donor. 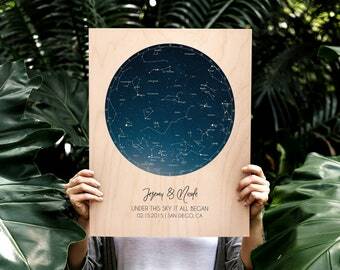 This means each bundle has its own unique characteristics such as your own. Difference between Closure and frontals? A lace frontal wig is made with a 13"x4" (ear to ear) hair piece. This hair piece is made with lace and individually ventilated hairs. It allows you to part the wig anywhere from ear to ear so more versatility than most wigs. See attached. The front is lace while the back has sewn on wefts. A closure is similar to a frontal but not as large. Its a 4"x4" lace hair piece. The area available to part is smaller but some wig wears prefer its simplicity. A closure wig and frontal will will look very much the same. The difference is in the versatility that a frontal wig brings. The hairline appears more natural with the option to part from ear to ear. 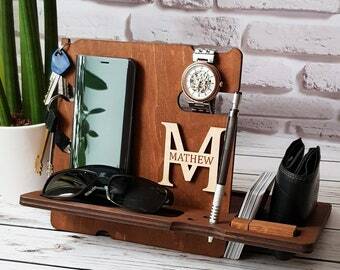 Most of my items are made to order and require me to customize. This process takes 1-2 weeks to complete. I send tracking once your item is in route. All completed wigs are shipped within 1-2 business days after purchase.